#TVWSOPCircuit Continues today with a $365 Hold'em and a $25,000 guarantee - cards in the air just now. Begin with 10,000 stacks and play 30-minute levels in this Freezeout event - only one entry per player. 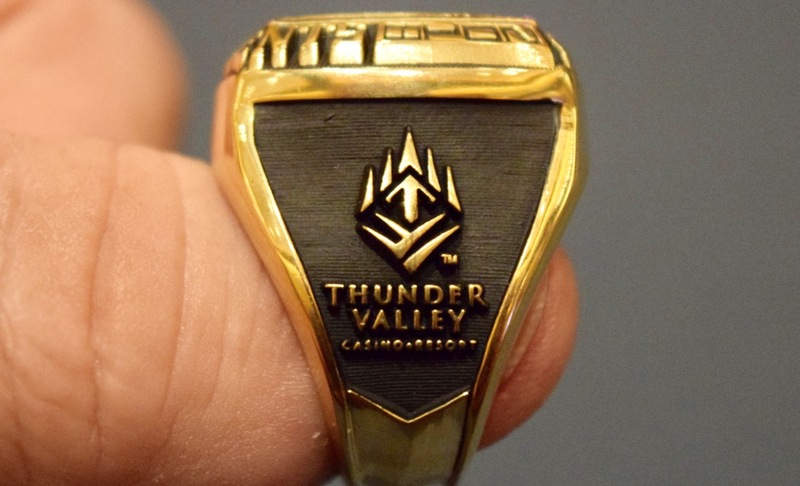 Registration is open until the start of Level 9 at about 3:30pm and plays down to a inner today of the fourth WSOP Circuit ring of this series - plus the cash as well. There's two rings available today, as the 4pm tournament is a $365 Omaha8-or-better, the same Freezout (1 entry total per player) with 10,000 stacks, 30-minute levels and registration open to the start of Level 9 (8:30pm).